A roving reporter for a TV talk show program recently stopped people on the street and asked them to name the person they admired most. The first person named Johnny Depp, a movie actor best known for portraying a pirate. I was puzzled that a person whose main contribution to humanity is pretending to be a pirate could be so admired. Bad enough that a person would admire a pirate, but a pirate pretender, a fake pirate? Another person named Tiger Woods, an athlete who doesn’t seem to do much more than hit little white balls into holes in the ground, as the person he most admired. Other people also named actors and athletes. Since acting and sports are all about pretending and playing, what does that say about our modern world, about reality? In effect, we have replaced the real world with a fantasy world. And we reward the pretenders and players with ridiculous contracts so that we can escape into their fantasy world. I got to wondering whom I would name if stopped on the street by that roving reporter. It definitely would not be a pretender or a player, which meant that the person’s name would mean little to the reporter or the audience. I decided I would name Stafford Betty (Below). The reporter would no doubt ask me to identify Stafford Betty and I would respond by telling him that he is a professor of religious studies and philosophy at California State University in Bakersfield, California. But I would have to go on to explain that Dr. Betty is not your garden variety academician, certainly not your run-of-the-mill professor of religion or of philosophy. He is very much a maverick when it comes to philosophy and the teaching of religion. Unlike so many other educators, he doesn’t beat around the bush on topics that others find too risky, too unconventional, or too “unscientific” to discuss or even consider. 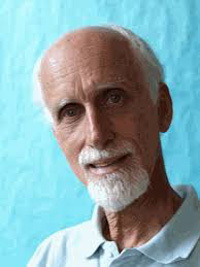 He has done extensive research in such subjects as mediumship, past-life studies, near-death experiences, and death-bed visions, separating the wheat from the chaff in his efforts to reconcile these phenomena with religious dogma and doctrine and with accepted scientific truths. He has arrived at a reality that makes so much more sense than that offered to us by either orthodox religion or mainstream science, and, in spite of peer pressure to back away from his unorthodox and “unscientific” beliefs and teachings he has refused to “wimp out,” as others have. According to one survey, roughly 70 percent of academic philosophers are atheists or lean in that direction, while only 16 percent believe in God, the remainder falling in an “other” category, apparently agnostic. Such numbers certainly suggest that the younger and future generations are having their minds plowed with a materialistic philosophy, one called “humanism,” which essentially says, “eat, drink, and be merry” now, because tomorrow you’ll be extinct. While this humanistic “living in the moment” philosophy works for some in their younger years, when they are busy raising a family and pursuing careers, it fails most people in the second half of life, as they approach the abyss into what they see as “nothingness,” because it offers no hope. No hope results in despair. The best way to counter despair is to jump into that fantasy world, admiring pretend pirates and people who hit little white balls into holes. Although most of orthodox religion believes that the book of revelation is long closed, Betty’s research suggests that revelation is still coming to us in many ways, including communication from the spirit world. A number of distinguished scholars and scientists, including Alfred Russel Wallace, co-originator with Charles Darwin of the natural selection theory of evolution, Sir Oliver Lodge, a pioneer in electricity and radio, Sir William Crookes, a pioneering chemist, and Sir William Barrett, a respected physicist, all discovered the same thing that Betty is now writing about long before he was even born. But materialistic science so feared a return to religious superstition and folly that it refused to seriously consider the research of those distinguished men. Much of their research remained in dust-covered cabinets until recently when Betty and others began dusting off those old cabinets and unlocking the drawers. The unthinking non-believer might jump to the conclusion that Betty is promoting the afterlife to the detriment of this one. However, such is clearly not the case. He is concerned with making this life a more meaningful one by understanding what comes after death and being better prepared for it. He admits to hitting little white balls into holes now and then and maybe even occasionally taking in a pirate movie to escape the turmoil of modern living. As Thomas Carlyle, the renowned nineteenth-century philosopher saw it, the real heroes of our world – those who should be most admired – are the men and women who concern themselves with figuring out the mysteries of life, including the unseen world. Heaven and Hell Unveiled: Updates from the World of Spirit by Stafford Betty is published by White Crow Books and is available from Amazon and all good online bookstores. Why don’t they say something meaningful? Why not tell us about how they live in the spirit world? Why not give us a cure for cancer? Why so much trivial stuff, like what happened to Uncle Jerry’s gold watch? Such were the questions often asked by skeptics about messages purportedly coming from spirits in the early days of psychical research. The same questions are still asked today. It is something of a Catch 22 situation; that is the “trivial stuff” is evidential and designed to convince people of the reality of spirit communication and a spirit world, while communication setting forth “higher truths” are not subject to validation or verification. Such skeptics only show their ignorance, as there were volumes of messages coming through mediums in those early years about the nature of the afterlife and its relationship to the material world. 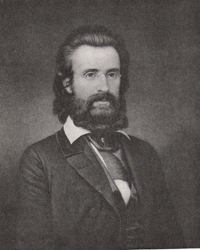 As pointed out in my last blog post here, Adin Ballou, possibly the first serious psychical researcher, explained some of it in his 1852 book, but much more was set forth by Judge John Edmonds and Dr. George T. Dexter in their 1853 book, Spiritualism, most of it purportedly communicated by the spirits of Emanuel Swedenborg, (below) a renowned 18th Century scientist, and Francis Bacon, a distinguished 17th Century scientist and philosopher. Not long after that, still in the 1850s, French researcher Allan Kardec provided a wealth of information supposedly coming from a number of advanced spirits, including Swedenborg. 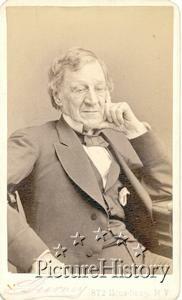 Still in the 1850s, Robert Hare, a professor of chemistry at the University of Pennsylvania and a world-renowned inventor, recorded many messages relating to the nature of the afterlife and the laws governing it. Ballou noted that a number of mediums had been discredited and branded charlatans because the words supposedly coming from great minds in the spirit world were not consistent with their styles or modes of expression when in the earth life. He concluded that these great minds in the spirit world, realizing how difficult it is to find a medium with the necessary intellectual capacity to convey their message, concerned themselves more with communicating fundamental principles and ideas than with the verbiage. “I read communications purporting to come from these illustrious sources with a good deal of distrust,” he offered. “Yet, I cannot doubt that some of them are substantially authentic and reliable. Nevertheless, Edmonds’s daughter, Laura, seems to have been a much more advanced or developed medium, as she spoke only English and a smattering of French in her conscious state, but spoke Spanish, French, Greek, Italian, Portuguese, Latin, Hungarian, and Indian dialects fluently when entranced (or rather the spirits spoke the languages using her voice mechanism). Still, the spirits were limited in what they could communicate through Laura and other more developed mediums. As an example of the problem, let’s say that Albert Einstein, now in the spirit world, wants to communicate an important scientific fact to a scientist still in the flesh here on earth. Unless he can find a medium with a very high IQ who is conversant in the particular science and in mathematical ways of expressing ideas, he will fail. If he succeeds in finding a very smart medium but one still lacking in the necessary intelligence, it is probable that whatever Einstein has to say will come out distorted and convoluted, so much so that it is meaningless or worthless. If some medium were to approach a famous scientist and tell the scientist that Einstein has some important information to communicate to him or her, the scientist would no doubt sneer at the very suggestion and tell the medium to get lost. Thus, it is not likely that Einstein will even make the attempt, nor is it likely that some scientist on the other side who possibly knows the cure for cancer will be able to communicate it. However, he might attempt to impress some ideas directly on the brain of a scientist whom he deems capable of understanding them, but such impressions are also subject to misinterpretations and distortions as they are filtered through the brain of the earthly scientist. Still, such inspirational impressions are considered by many familiar with mediumship to be a big part of advances in knowledge, even if the person receiving the inspiration doesn’t realize where the ideas are coming from and takes all the credit for him- or herself. The bottom line to all this is that there are different kinds of mediums and they vary significantly in ability, depending on a number of factors, including passivity and development. The messages coming through them can be “colored” or tainted by their own minds as the ideas are filtered through their brains, but when those messages are contrary to what the medium believes and consistently come through other mediums, we should consider the possibility that there is some truth in them. 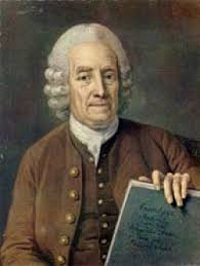 It was Swedenborg, a Swedish scientist, mathematician, inventor, statesman, author, and mystic, credited with making significant discoveries in astronomy, anatomy, chemistry, and geology, who, according to spirit messages, worked with Benjamin Franklin in the spirit world, and figured out how to communicate through people who came to be called mediums by means of “raps,” “taps,” and “table tilting – so many raps, taps, or tilts of the table for each letter of the alphabet. Considering the many messages he sent through several mediums, including the famous Andrew Jackson Davis, in those early years of mediumship, he seems to have had a mission – one of enlightening the world to the true nature of both this world and the spirit world. In fact, the two volumes published by Edmonds and Dexter contain over 1,000 pages with hundreds of ideas or “truths” for the most part foreign to religious, philosophical, and scientific beliefs of the day. But because what Swedenborg and Bacon communicated was not totally consistent with what they believed in the flesh – either in thought or in manner of expression – the skeptics attacked it as fraudulent and the religionists called it demonic. Swedenborg, Bacon, and other “great minds” in the spirit world provided us with answers to nearly all the questions people had and still have about the nature of reality, but 160 years later it is still ignored. Clearly, there is no point in other great minds from the spirit world attempting to educate and enlighten us, as few, if any, would believe it to be true. “Yeah, yeah, and what does Cleopatra have to say?” would be the smug, self-righteous reaction. How sad!! !